We bring years of information security experience to our work with financial institutions. Our clients benefit daily from the work we’ve done across the cyber security landscape. The best defense is a coordinated one, but few financial institutions have the teams in place to focus to keep pace with evolving threats. The 5Iron SIEM brings all log sources into a single location, runs behavior correlation rules against what it sees, and pulls the outliers to indicate potential malicious activity. 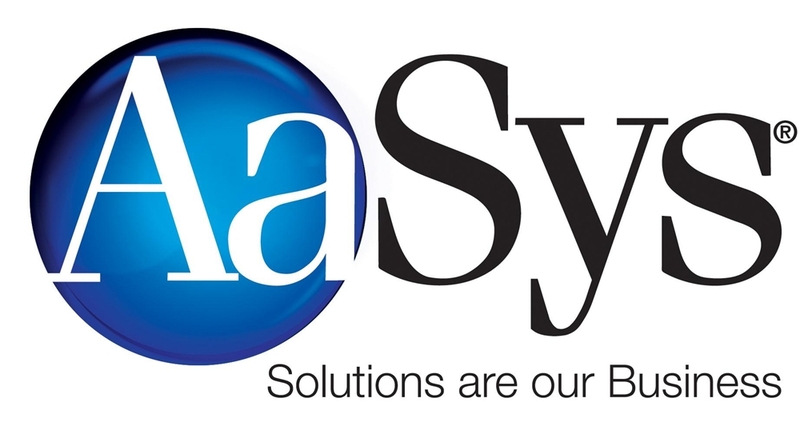 AaSys Group is a technology-focused organization supporting community banks. AaSys provides onsite and remote network support as well as Help Desk Services. Our offerings include designing DR and offsite backup solutions. The Bank Operations specialists assist banks with core evaluations, contract negotiations, business process reviews and invoice analysis. Compensation Advisors, a member of Meyer-Chatfield Group, delivers a full range of compensation advisory services and solutions. Our proprietary LINQS+ non-qualified SERP design provides executives with lifetime retirement benefits while reducing compensation costs for the shareholders. Our leaders educate the industry about BOLI, emerging compensation and hiring developments. Headquartered in Memphis, Tenn., and actively managed by a board of directors, Confluent Strategies represents a wide range of companies involved in consumer and commercial transactions of all types. We specialize in consumer credit, commercial and mortgage credit reporting, Integra Financial Benchmarking (business valuation reports), background checks and employment screening, and association management to HOAs, mortgage lenders and industry associations. Contact: J. Brock O’Leary Sr.
Corporate Benefit Strategies, Inc. (CBS) provides general consulting, design, implementation and ongoing support to non-qualified executive benefit plans and employee benefit cost recovery plans, and sales and service of BOLI and COLI insurance products. In addition, CBS provides documents or compliance evaluations along with BOLI and COLI restructure comparisons. Our people have deep experience and financial services expertise, having held positions as compliance officers, internal auditors, general counsel, outside counsel, regulators, underwriters and consultants. Our goal is to ensure the services we provide continue to optimize our client’s risk and compliance management systems. Successful outcomes involve good upfront planning, clarity of expectations, regular communications, and excellent execution. The American Bankers Association along with 10 state banking associations exclusively endorse Equias Alliance for the design and implementation of BOLI programs and executive/director nonqualified benefit plans. *MBA Program Partner* FI Strategies offers strategic consulting to community banks. We assist clients with comprehensive strategic planning, readiness assessments and evaluations, operational solutions, CDFI certification, and CDFI grant and award programs. Our team enables community banks to enhance profitability while at the same time furthering community development in the markets they serve. Premier Insights, Inc., is a consulting and research firm specializing in fair lending, CRA analysis, market and economic research, and risk analysis. The firm provides consulting services, a wide range of quantitative analysis, and also software solutions. Premier assists dozens of financial institutions each year navigate the treacherous regulatory landscape. Banks and credit unions are the backbone of the financial world—and we aim to keep it that way. We deliver the simple, secure digital experiences account holders want and the back-end efficiencies you need. Plus, we’ve got a highly skilled team fueled by our mission. Sawyers & Jacobs, LLC is a leader in innovation, risk management, cybersecurity, and technology through our four brands: RedTorch Consulting: Lighting the Path to High Performance; RedTail Risk Management: Watch Risk Like a Hawk; RedWolf Cybersecurity: Protect the Pack; and RedCape Tech Support: Your Hero in Tech. We are focused on community banks and dedicated to making banks better. SBS Cybersecurity is based in Madison, SD and focuses on Consulting, Network Security, IT Audit, and Education. SBS offers TRAC software that simplifies the risk management process that offers educated security decisions. Free demos are offered on all of our products. Penetration test, vulnerability assessment, and social engineering is offered with our network security testing. We offer consultants and an educational program to assist each customer with building/expanding their cybersecurity platform. We specialize in a complete customized compensation structure. Bank-owned life insurance financing. BOLI rescue – if it’s not working correctly, we can fix it. Administration and compliance are delivered with personal service by our people.